One day during our school’s Fall Break earlier this month, I took the boys on an afternoon trip to Half Moon Bay. We’ve never been there during the pumpkin festival, and it was too early for the giants to be displayed downtown. We drove past some of the tourist attractions, with their flashy signs and carnival rides. 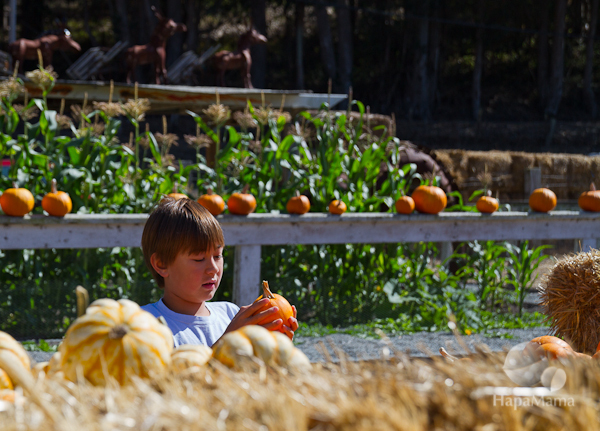 As we headed south on Highway 1, our adventure paid off, as we found a lovely family-run pumpkin patch at Arata Farms. 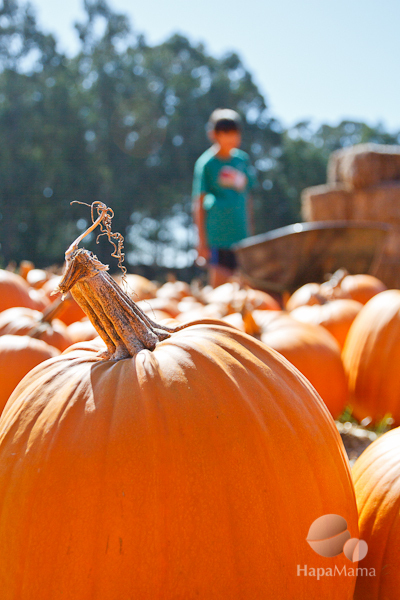 Here’s a fall photoessay to celebrate the occasion. There’s something about seeing a field full of orange that lifts your spirits. I personally like the lumpy, unusual shaped ones. Someone in our family was determined to find a gigantic one. He got to push the wheelbarrow. 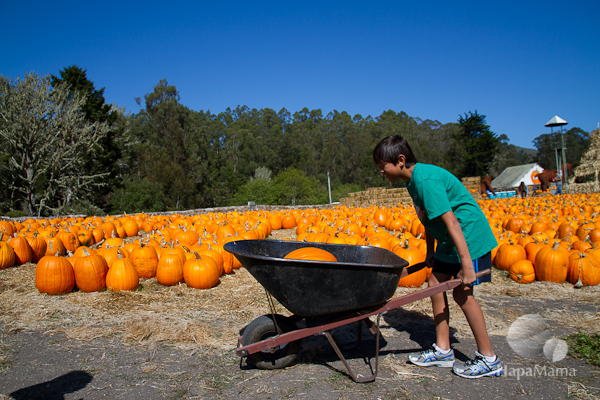 Carving jack o’lanterns is one of the highlights of the holiday. Something about scooping out all the stringy guts and every last seed is immensely satisfying. I’m pretty good at it, if I say so myself. What a fun experience. 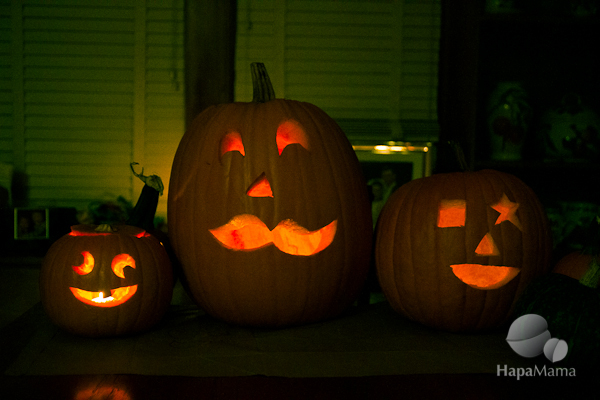 You did a great job carving your pumpkins. They came out great!